Inkpen Downie was pleased to be able to get involved in the MARISCO stakeholder workshop for Colchester Borough Council recently. The event was organised by Essex County Council, Colchester Borough Council, Writtle University College and the Centre for Econics and Ecosystem Management. Linh Bane attended on Inkpen Downie's behalf and found the event to be a very interesting and enjoyable day spent carrying out activities, to demonstrate how an environmental approach in relation to planning could be put into practice. Inkpen Downie has always had an interest in sustainable technology and has been a member of the Green Register for a number of years, ensured that a member of staff has undertaken BREEAM training and consistently attends events to enhance their offering for clients keen to develop their ideas in a sustainable fashion. There were a myriad of participants from Colchester Borough Council, Essex County Council and from the resident community which, enabled Marisco to introduce ‘a vulnerability analysis and strategic planning proposal for a site designated for recreational development’. Marisco have developed a 190 page guidebook entitled "Marisco: adaptive MAnagement of vulnerability and RISk at COnservation sites" which is available for download. 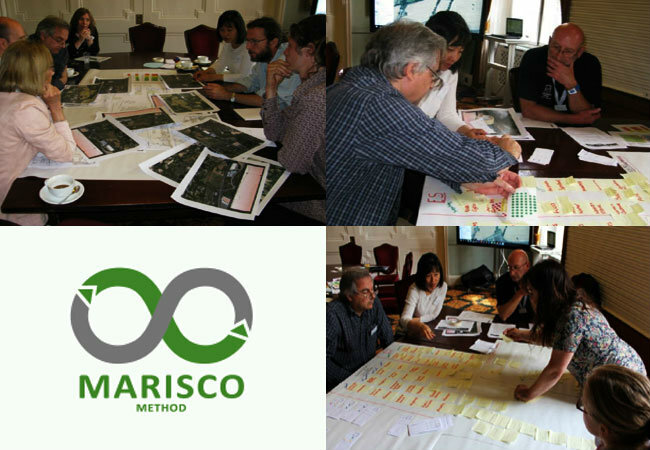 The workshop gave valuable insight into the practice of the MARISCO process to provide a methodical and comprehensive solution in organising and creating a more strategic process to protect biodiversity and ecosystem objectives. Should you require a copy of the report specific to Colchester please request by email from karen@inkpendownie.co.uk.